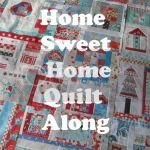 Mini Quilt A Week: The UFOs are getting finished.. The UFOs are getting finished..
Three more UFOs are done and off the list! :) I'm so happy. 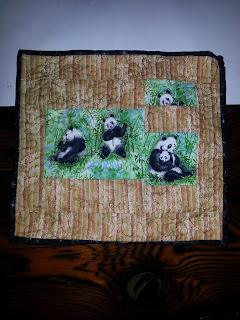 First up in a miniature Panda quilt. 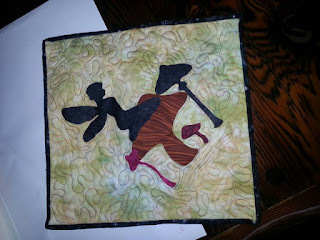 Quilted on a really crappy machine mostly by me (in 2011 - thank goodness that I've improved!!) and partially by my hubby who was trying to fix my tension issues. It's cute, but I'm not in love with it (hence why it was a UFO for so long). Started it in 2011, finished on June 16, 2013. *Jumping for joy* it's done.